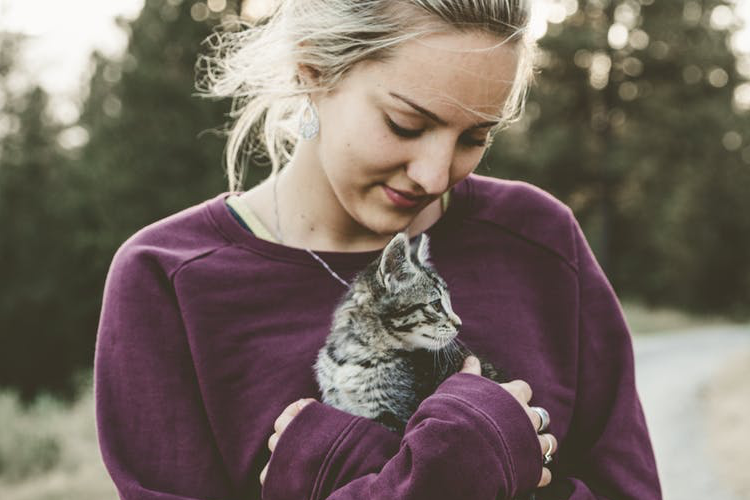 While many people associate self-compassion with its gentler and softer side, rest assured, self-compassion can be strong and fierce as well. Self-compassion is concerned with alleviating one’s suffering, and sometimes we need to take action, set boundaries or say no in order to alleviate our suffering. According to Kristin Neff, there is a yin and a yang of self-compassion, which are inherent in each of the three components of self-compassion: self-kindness, common humanity, and mindfulness. The yin of compassion is loving, connected presence. This is displayed in the form of comforting, soothing, and validating. Think of a mother soothing her crying child or someone comforting a friend after the loss of a loved one. Some people develop a misunderstanding of self-compassion by believing this is the only side to it. They confuse the gentle care we show ourselves with complacency in our faults and failures, and also fear that showing ourselves compassion will lead to a decrease in motivation for change. As it turns out, this is not the case at all because of the balance provided by the yang of compassion. The yang of compassion is guided by the action we take in the world and for ourselves in the name of love. It is displayed through acts of protecting, providing, and motivating. Think of a father who works 16 hours a day to provide for his family, or a first responder at the scene of an accident or tragedy who protects innocent people. And it can be fierce. We can think of fierce self-compassion as a mama bear, with you being the young cub and self-compassion being the mama bear. 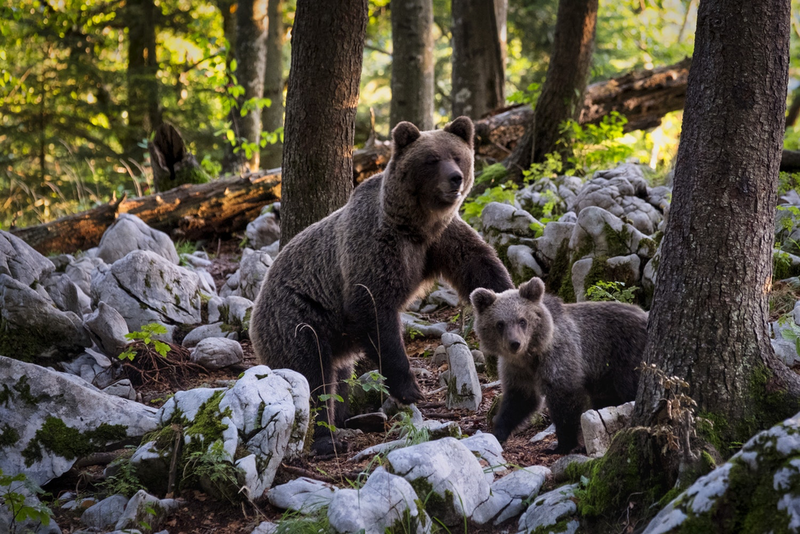 If something — whether it’s you or someone else — appears to hurt her cub in any way, the mama bear will do what she needs to do in the name of protecting that which she holds most dear. More importantly, fierce self-compassion inspires action. Where the yin of compassion arouses care and understanding for our suffering as loving, connected presence, the yang of compassion motivates us to do what we need to protect us from harm. We see the yang of compassion in action, and we see it is fierce, empowered, truth. Fierce compassion allows you to show up for yourself by coming to your own defense and take inspired action to prevent you from being harmed in the same way again. The yin of self-kindness might come in the form of speaking to yourself the way you would speak to someone you love when experiencing a negative emotion, whereas the yang of self-kindness might see a harmful trigger and takes action to protect you. The yin of common humanity helps you recognize that you aren’t alone, whereas the yang of common humanity empowers you or a group you align with to make a change. Think of the “me too” movement, in which women and men who experienced similar trauma felt empowered to speak out against the systems in place that make them stay quiet and address the judgment that makes them feel ashamed. Empowerment sparks movement in the name of love. The yin of mindfulness allows us to observe, acknowledge and accept emotions as they are, whereas the yang of mindfulness also allows us to see what is and is not true with clarity and wisdom. How can fierce self-compassion help you take better care of yourself? Remember the mama bear; she wants to protect her cub from harm. So how are you being harmed, and what boundaries do you need to put in place in your life to take care of yourself in the way you want to be taken care of? Do you need to get to bed earlier at night, so you get the rest you need? Do you need to schedule plans with your friends, so you see them more regularly? Or do you need to protect yourself by saying “no” to things you really do not want to do. Have your mama bear write you (her cub) a permission slip to set a boundary to protect you or say no to someone that is harming you. The first step when meeting an unmet need is to reflect upon a recent experience where you have been hurt or harmed. Then identify the need that lies underneath. Is it a need to be loved? A need to be seen or heard? A need to feel a connection? How would you respond if a loved one had the same need? If you need to be loved, say to yourself, “I love you.” If you need to be seen, tell yourself, “I see you.” By exploring what you need, you allow yourself to receive what you have been longing for, even if you didn’t realize that you needed it. Take 15 minutes to write a letter from a compassionate friend to yourself to help motivate change. First, identify a behavior you want to change about which you criticize yourself or that makes you feel ashamed, insecure, or like you aren’t good enough in some way. Then, write it down and describe how it makes you feel as honestly as possible. Next, write a letter to yourself from a compassionate friend (real or imagined) that expresses compassion for the harm you experience as a result of this behavior. Remember everyone does things that end up harming them and that they would like to change. As you write, keep in mind that your friend loves and accepts you unconditionally and is wise and clear-sighted. Your friend also recognizes how the behavior that you criticize yourself for is creating problems in your life or is causing you harm. Your friend wants you to change, not because you are unacceptable, but because he/she can see you are suffering. And your friend doesn’t want to see you continue to struggle because he/she cares about you. After you write your letter, reread the words of kindness and encouragement and let them soak in. Fierce self-compassion is kind action we take in order to prevent ourselves from being harmed by ourselves or others. It’s a powerful resource to make changes in our lives from a place of love. Follow Kindful Body's brand new Pinterest profile for inspiration on how you can embrace your body, yourself and your life with more love and kindness. You can also follow Kindful Body on Instagram, Facebook or subscribe to my newsletter.